H3T & H3 Hummer owners if your looking to black out your hummer (Stealth) well Stallion Dealer Services has just come out with a OE Hummer wheel powder coated Matte Black(Flat black). 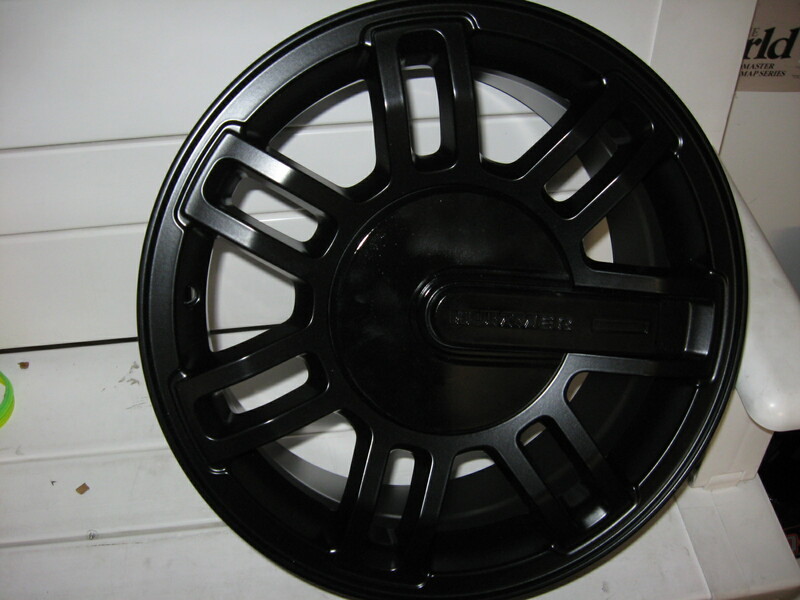 These are the original factory GM Hummer Wheels. SDS has all ways been on the cutting edge of the H3T & H3 Hummer Accessory line for the past few years. Since introducing the Powder Coating program there has been a large demand on coating vertualy anything made from Steel or Aluminum. If your looking to be diffrent from the rest and like the Stealth look or just trying to finish up your H3T,H3 Hummer with some good looking wheels then you've come to the right place.